Circa 1895. Ideally situated for pleasant strolls and easy access to historic city sites, this Richardson Romanesque Victorian, built in 1895, boasts original wood floors, moldings, tiles and Zuber wallpaper. 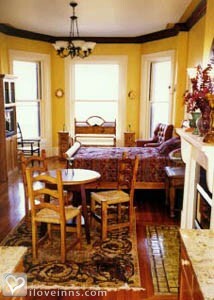 The interior blends Victorian, Arts & Craft, Chinoiserie and Italianate decor. Browse the extensive video library in the lobby where an iMac computer is available for guest use. Each air-conditioned guest bedroom features a gas log fireplace, wet bar with refrigerator, voice mail and high-speed Internet access. 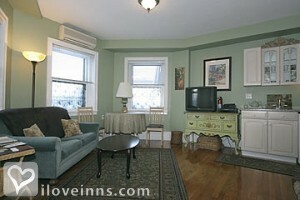 Enjoy views of the Charles River from two of the spacious rooms. 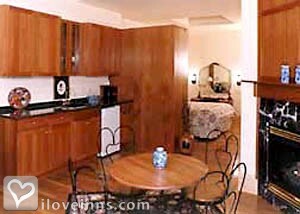 A generous continental breakfast is served daily, which guests can take back to their room. Convenient on-site parking is complimentary. The courteous staff can answer questions about planning your day's activities and getting around the city. Payment Types Accepted Include American Express, Master Card, Discover, Visa, Travelers Checks and cash. 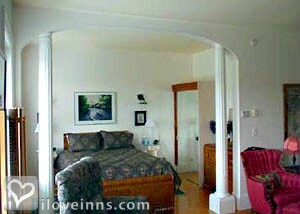 This property has 8 total guest accommodations with private bath, 8 with fireplaces. The types of beds available include Queen. 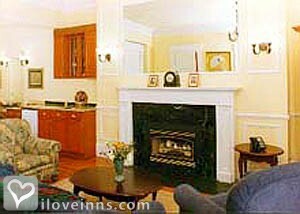 Each room is beautifully decorated, very private, each has a fireplace, 2 rooms have views of the Charles River, all have large tubs. Boston is full of history! The dates this property will honor the certificate are December-February, Sunday-Thursday - No holidays or weekends. I have stayed here two years in a row (2 nights each time), and had a great experience. The inn is extremely clean. A variety of complimentary services are provided, including laundry, breakfast, computer use, wireless internet, as well as borrowing books and dvds. Additional services are provided for a charge, such as an in-room massage. 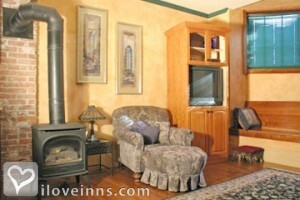 The inn offers a variety of different themed suites, each with individual (and very detailed) decor. Clearly, a lot of attention and creativity was invested in designing the suites. 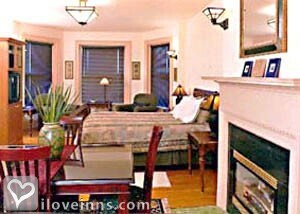 Also, each room offers a fireplace, as well as great views of the Charles River or the Boston streetscape. 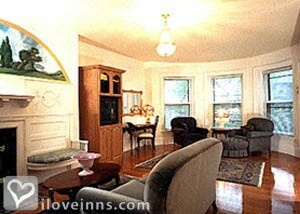 The innkeepers were extremely friendly, and willing to help make the experience the best it could be. In terms of location - the inn is located about 2-3 minutes (walking) from the subway, and about 5-7 minutes (driving) from Downtown Boston. The surrounding area is very scenic! Parking is available on the premises(for an additional charge). The only drawback is that the walls are somewhat thin, in case you are concerned with being too noisy, or being disturbed by other guests' noisiness. Considering the price, cleanliness, services offered, and location, I would strongly recommend the Gryphon House. Over the New Year holiday, I had the pleasure of staying at this location. I'd stayed there the year prior and was impressed enough to come back. 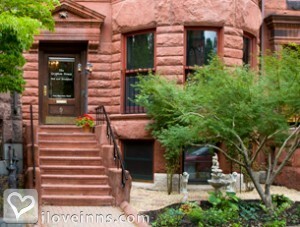 The Gryphon House is in a great location, only a 2 min walk from the train station and 15 min. from Downtown. What l like about the distance is that it's close enough to all the great action of downtown Boston but you don't have to bring it home. The staff at the inn is so warm and helpful. 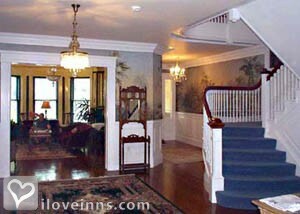 Teresa welcomed me, and escorted me to the super clean Riverview room even though I arrived later than I intended. After a brief tutorial on how to operate the fireplace and individual room temp. controls, I was all set to jump onto the ample amounts of comforters placed onto queen size bed w/ big, sturdy wooden frame. The bathroom was also great, with a shower separated from a big bathtub. What I liked about the shower was that it was a lot of water pressure and felt really good. More impressive than the bathroom was the great view of the Charles River. You're literally 50ft. from it and its amazing from the window. I spent at least 15min just looking at it when I first got there. Upon opening the door to leave my room, I found that Theresa had left one more big blanket for me "just in case". What I like most about the Gryphon House is the little things like extra blankets being given without being asked or the complimentary DVD library from which you can borrow. Its not at all like the big, impersonal hotels. You can really see all the TLC that went into the inn overall. Parking is a bit cumbersome though, because it's in the back of the inn with other parked cars. It can be a little bit tight but it's nothing compared to what's going on inside. Overall, I had such a great time there and I can't wait to go back again. I recently stayed at the Gryphon House with my daughter and granddaughter and we had an outstanding weekend stay. Our suite was spacious and beautifully decorated, and we especially enjoyed the large bathroom with both shower and bathtub. All of the staff were so friendly, helpful and accommodating and the continental plus breakfast provided many choices to start the day, along with an excellent pot of coffee. Close to all of the activities in Boston and the best place to stay, especially the Red Sox if you are a fan! Best of Boston 2002, Yankee Magazine Editor's Pick 2002.